As a kid, I watched a lot of cartoons. Ninja Turtles. My Little Pony. Carebears. But one of my favorites was actually a syndicated oldie-but-goodie that my parents grew up with called Underdog, where a “humble, lovable shoeshine boy” (who was a dog, but still) transforms into a caped crusader and somehow always foils the bad guy. I’m not alone–we all love a good underdog story, don’t we? But these days, being an underdog among enterprises sort of makes you a superhero, too. In fact, according to Gartner’s report, “Predicts 2014: Seizing the Digital Business Advantage,” 20% of all market leaders will lose their dominant position to a company founded after the year 2000. To be clear, it’s not about the year the company was founded. It’s because these nimble emerging enterprises seize a digital business advantage. To grow market share, you have to retain your existing customers. (And if I were a superhero myself, I would be Captain Obvious.) Retention rates above industry standard, therefore, are an absolute must if you’re an emerging enterprise. You can’t grow if two steps forward come with three steps back. Also, here’s something that’s less obvious: new customer acquisition is much more expensive than retention. Keep the customers you’ve got by continuing to provide them with value, long after their first purchase. Many companies save nurture for prospects, but don’t be one of them! If you want to maximize your relationship with current customers (and accordingly, retention and loyalty), stage and interest-based nurture are a must—well past the point of purchase. Ask yourself: what do these individuals need? And proactively answer their questions. With a marketing automation platform, you can listen to your customers’ actions and behavior and respond with relevant communication tailored to their interests. The 80-20 rule is alive and well. According to the old business adage (another oldie-but-goodie), 20% of your customers account for 80% of your sales. This makes sense: it takes a lot less to run effective cross-sell and upsell campaigns for people who already know and trust you. So if you want to grow your enterprise, start with the people who love you already. Behaviors like viewing product information or visiting specific content might indicate that a customer is interested in doing more. 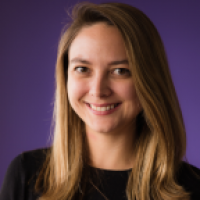 With automated campaigns like trigger-based nurture, web personalization, and retargeting, you can give your customers more of the content they need to keep your brand top of mind and help them evaluate options. Meanwhile, customer scoring and sales intelligence will guide your customer account team toward timely outreach. Ever heard the old adage: “No one ever got fired for buying…(insert industry behemoth here)?” If you aren’t the known quantity, you’re the risk. One of the most fantastic things about a legion of happy customers is that they give you powerful credibility as the up-and-comer. If you’re doing a great job with customer engagement, it’s time to hand your most passionate customers the megaphone. “Great,” you’re thinking, “but we sell a subscription service for socks, not software. No one’s going to get fired for what I do.” I won’t get into the obvious risks associated with sub-par socks. Instead, I’ll point out something that resonates with every marketer: 92% of consumers trust personal recommendations over all forms of advertising, according to Nielsen. Happy customers create a virtuous cycle that’s necessary for amplifying the effect of your marketing campaigns. Marketers savvy about engagement marketing recognize that the nurturing process is critical to creating and maintaining customer advocates. Pay ongoing personalized attention to customers you hope to develop into brand advocates and use referral marketing to share offers, incentives, and campaigns that entice your brand advocates to spread the word about you—an approach that emerging enterprises like Dropbox have mastered for major growth. In short, the right engagement marketing solution can help you cultivate your own advantage. Look and act like a huge enterprise customer marketing team by becoming more proactive, efficient, and helpful. Want to learn how else your enterprise can use digital marketing to get an advantage? 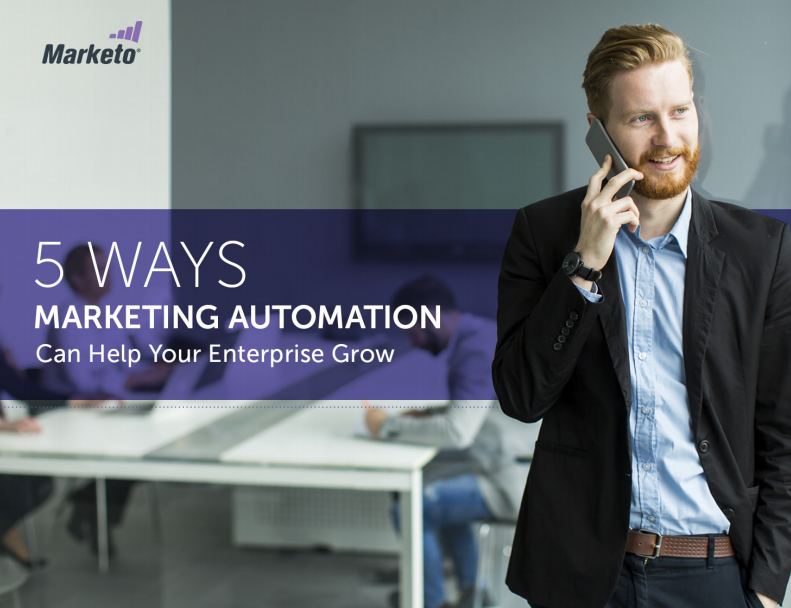 Check out our ebook 5 Ways Marketing Automation Can Help Your Enterprise Grow.